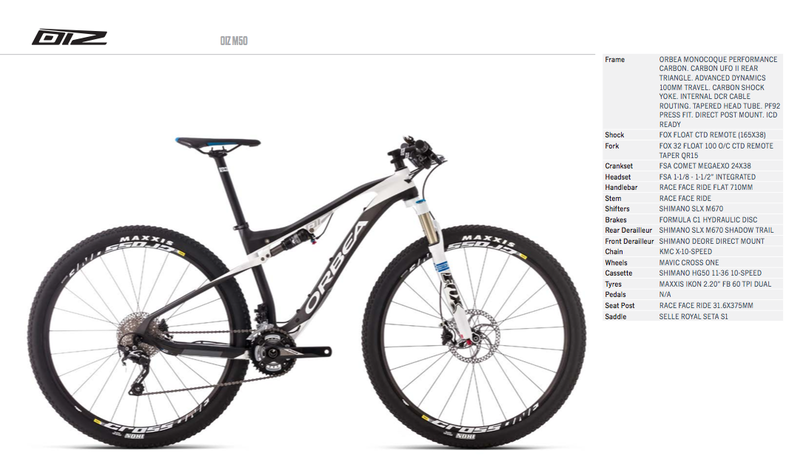 The new Orbea Oiz comes in 27.5 and 29er wheel platforms. 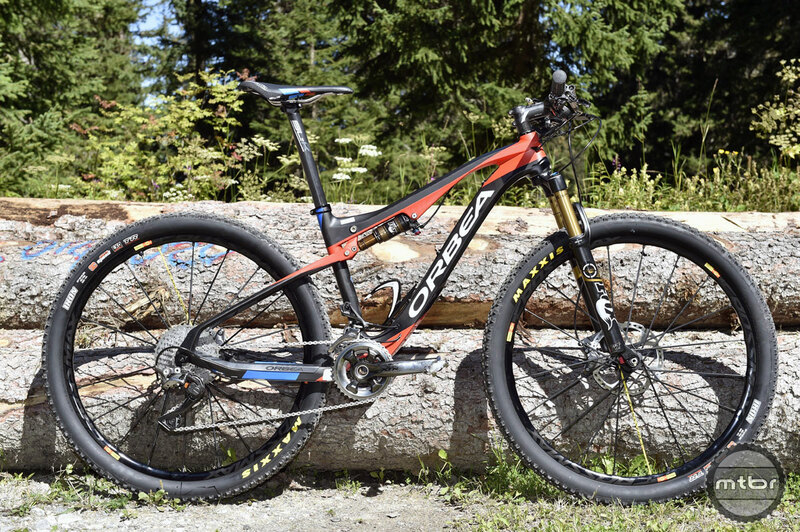 Recently, Mtbr was invited to see Orbea’s new cross-country full suspension bike in Meribel, France, host site of the final round of the UCI World Cup. It was a perfect place to unveil a purebred XC racer, and watch the women of the Luna Chix team put the new bike through its paces. And though the team’s top rider, Canadian Katherine Pendral, missed the podium, finishing fourth, the Oiz certainly appears to be a serious medal contender. 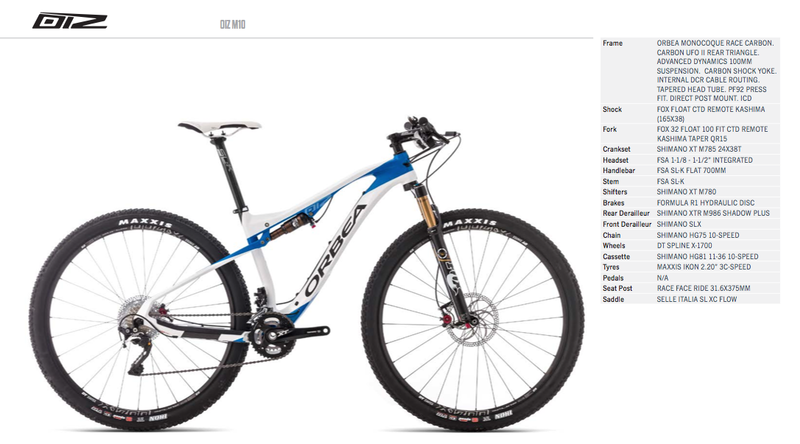 Previously, the Alma had been Orbea’s go-to race bike. 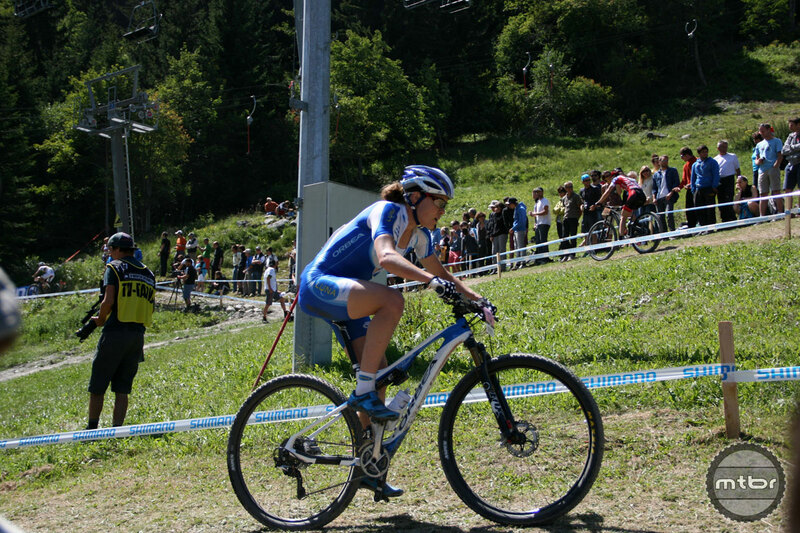 But with World Cup courses getting rougher, full suspension rigs have become more and more commonplace. Enter the Oiz, named for a mountain you can see from the company’s HQ in northern Spain. 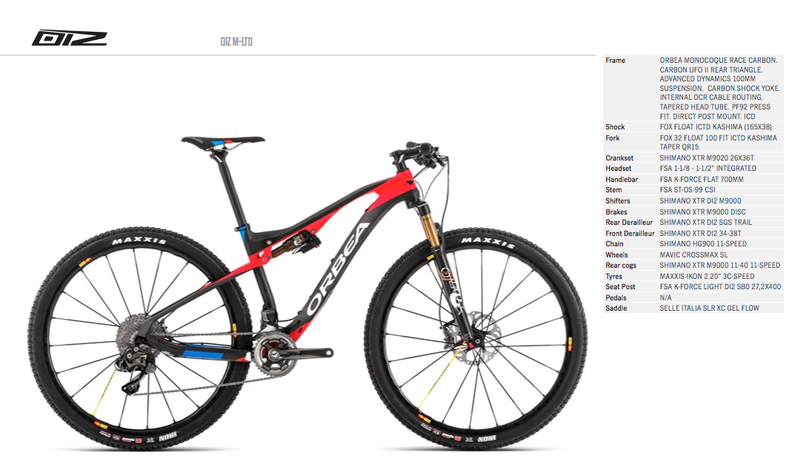 Realizing most XC racers will run full suspension bikes as stiff as possible, the Oiz was designed with a recommended 15% sag, not the usual 25-30%. Monocoque one-piece frame construction adds to that stiffness. There are no bonded joints to create weak spots. Options include six builds that come in small, medium and large frame sizes for 27.5 and 29-inch wheel platforms. To maintain compliance, rear seatstays for both platforms are designed to flex 7mm and have no pivots. 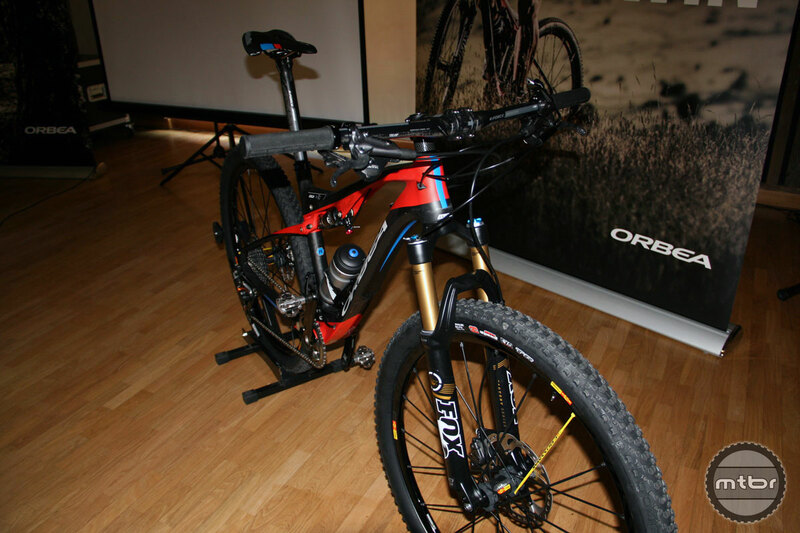 Orbea calls this UFO technology, where the carbon is laid up in such a way to allow it to flex. This design also helped keep weight in check, because there are no pivot bearings needed. 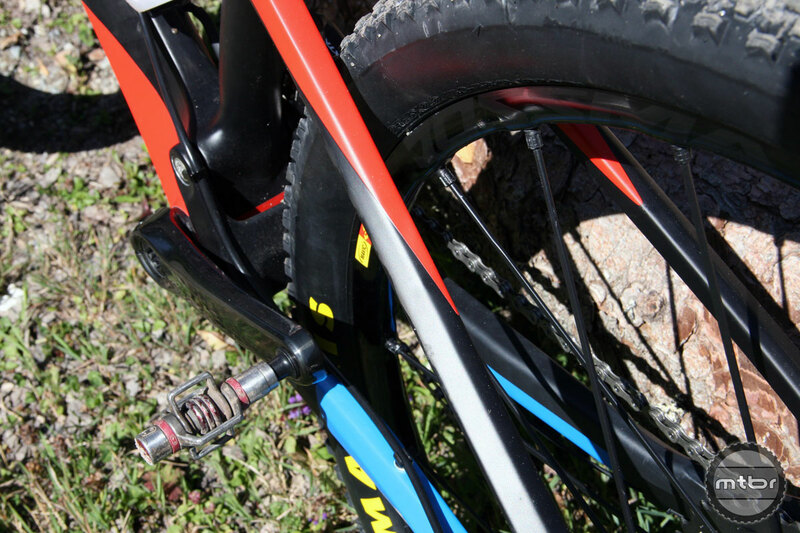 Suspension is built around the Fox Float ICTD shock with remote lock-out. Push the remote and stand up and you’ll think you’re on a hardtail. But switch to descend mode and the bike floats through the rough stuff. However, it’s worth noting that while we are big fans of the CTD platform, we feel Fox needs to work on the remote, which is clumsy and cumbersome. Look to the Scott Spark’s Twin Lock mechanism to see how it should be done. Luna Chix pro racer Georgia Gould aboard the Orbea Oiz. Out back, Orbea eschewed a rear thru-axle because it felt the amount of stiffness gained wasn’t worth the added weight. For whatever it’s worth, we didn’t notice any lack of stiffness. The fork, of course, comes standard with 15mm thru-axle where stiffness matters most. The Oiz comes with what Orbea calls direct cable routing, which is claimed to help reduce friction, cable rub, and contamination. The bike is also Di2 ready and has a press fit bottom bracket and oversized tapered head tube for added stiffness. 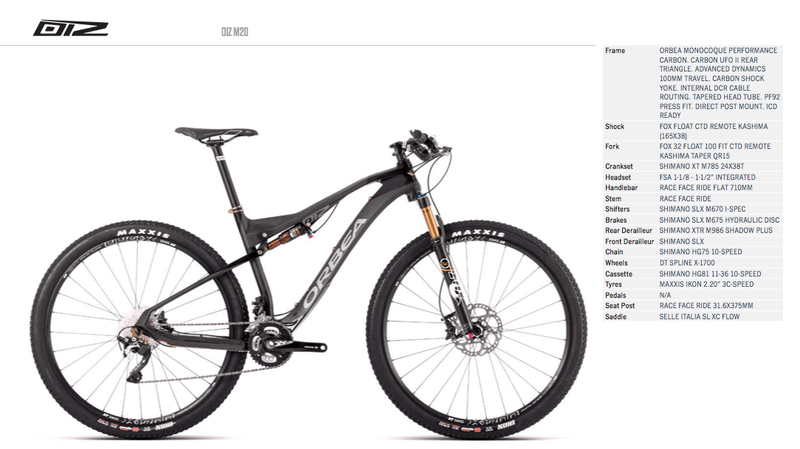 During our brief on-bike test time in France, we rode both the 27.5 and 29er versions of the Oiz. 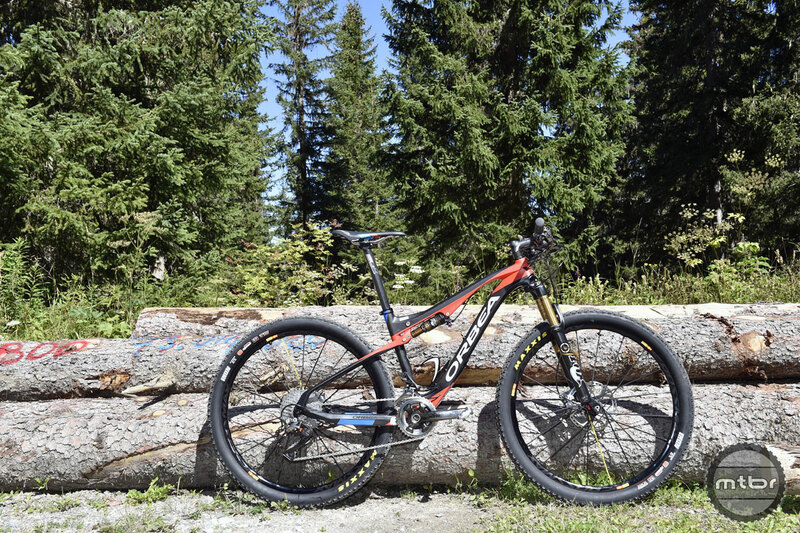 As you’d expect, the 27.5 was most at home in more technical terrain, its shorter chain stays helping it maneuver quickly through turns, but not yielding a twitchy feel. The 29er, on the other hand, rolled over everything like a 29er should. 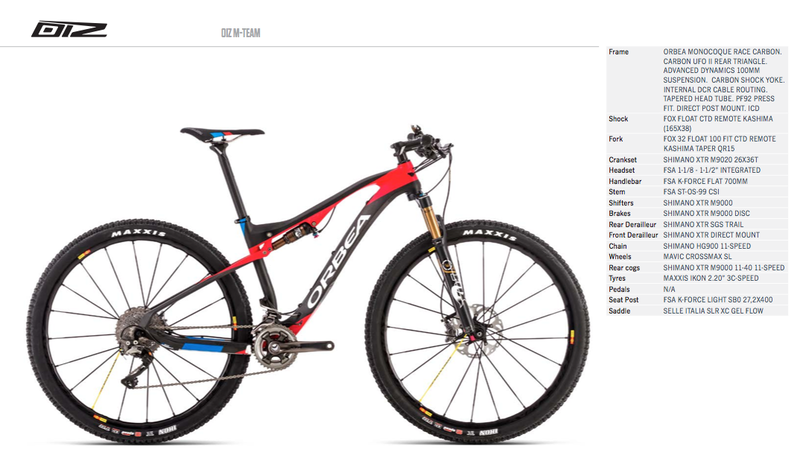 Generally speaking, Orbea feels that smaller XC racers are better served aboard a 27.5, while taller riders should opt for 29ers. Mtbr.com is a site by mountain bikers for mountain bikers. We are the best online resource for information for mountain bikers of all abilities, ages and interests.